My hair is mainly dry and I also have fluffy hair… So a good hair routine is very important for me. Because otherwise it’s mission impossible to do something with my (fluffy) hair. My hair routine exist out of the right shampoo & conditioner, a weekly hair mask and a good serum! My ultimate favorite hair serum is for sure the mythtic oil. But lately it was hard to find this one… But I needed a serum for my hair… So I started to try out the exceptional serum from Yves Rocher. This must be perfect for every hair type and it must make your hair extremely soft and strong. Curious what I find from this serum? And after the before and after photos? Then keep on reading! This serum is for all hair types and it must protect your hair against breaking and increase the resistance of hair fibers. And thanks to that your hair will look beautiful and strong. This serum contains 100% micro vegetable oils and hibiscus peptides. As you can see on the right side when I used the serum my hair looks much better and healthier. It’s also shinnying pretty and feels so soft! Ok, let’s be realistic for a moment… It’s an amazing serum, but because of the milky structure I need more product. And the normal prize from this product is €21,90 and I find this a bit too much. Especially if you keep in mind that my favorite hair oil, mythic oil contains more product and is cheaper… So I would never buy this serum for the normal prize, it’s just a bit too much… I bought this serum with 50% off so for €10,95. And for the amount product you get is that a better price. So if you wanna try out this amazing serum then I would say buy this one when it’s in the promotion! Because it’s an amazing and good serum, but the normal prize is just a bit too much for what you get. 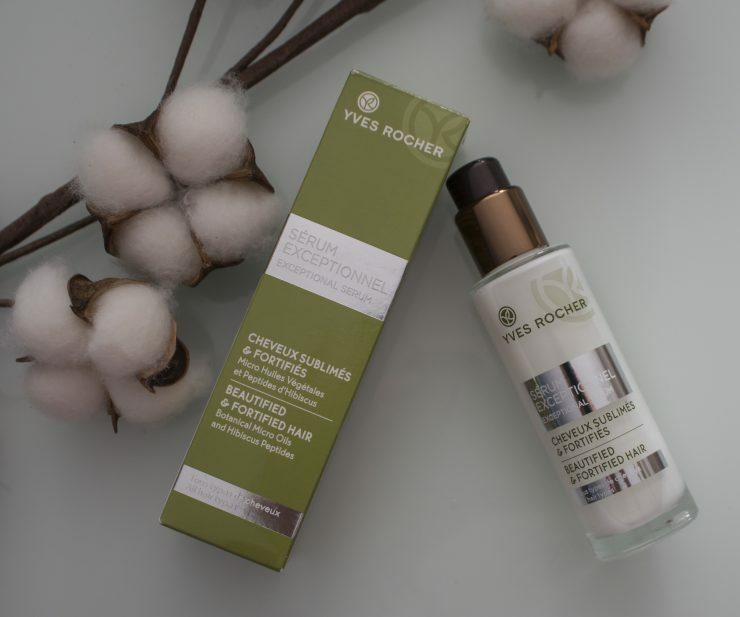 Curious for more Yves Rocher reviews? Then be sure to check this out.